In yesterday’s post, Part 1 of this series, I suggested that if wine is the original social media, then the process vintners go through to produce a quality bottle of wine could also serve as an appropriate model for how a business should approach social media. We looked at The Foundation for producing a great wine (planning, soil and climate) and how the social media equivalents of each of these elements can set the business up for success, even before the first actual social media action is taken. In this second part, we will take the process from selecting the vines all the way to harvest and, at the same time, outline three components that serve to form and grow the core of the social media program. For winemakers, selecting the right varietals and the right stock (clones) of those varietals will ensure that they have the correct base and blending grapes to meet their defined goals, with as few risks of damage as possible. When looking at the hundreds of options available for maximizing the impact of social media given the available bandwidth, resources and assets, a business needs to select the right social media types and platforms to meet its defined marketing goals. For example, if the business has a constant supply of great photography, then being very active on selected photography platforms (like Instagram, Pinterest, or Flickr) might make the most sense. If the business only rarely has good visuals, then photo platform activity might be much lighter. Or, if the business has a steady stream of interesting stories and anecdotes, then a high-profile blog would be worth the bulk of the effort. Once the planning is done and the right soil, climate and stock are selected, winemakers start to work on the grapes. Planting and nurturing the vines to grow the best grapes is a delicate balance of agricultural art and science. The daily care and attention paid to starting out right and then growing the fruit can be grueling, tiresome and routine, but is where the rootstock meets the road in making a great wine. To grow a great social media program, the business requires the same daily care and attention to its craft. Properly planting the roots by setting the platforms up correctly is the first step. Once the roots are in place, working to develop and grow a unique and authentic voice, gaining expertise in the chosen platforms and effectively sharing the brand’s story through the channels takes the same kind of daily nurturing as growing the grapes. When done properly, the work yields spectacular results. 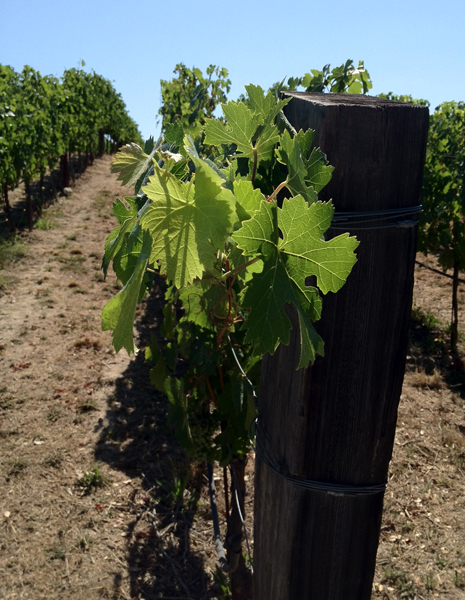 How do winemakers know when it’s time to harvest? They listen to the grapes. When it’s time to harvest, the grapes will show the right color, smell and taste in addition to testing at the right acidity and sugar levels. In the same way, listening is a critical component to any social media program, allowing practitioners to harvest the ideas, thoughts and feedback of others. At any time of any day, the business might gain consumer insight that leads to breakthrough innovation, may be able to solve a customer’s problem or may find new audiences to build awareness and loyalty. In order to do any of these, the business first has to be effectively using social media as a listening channel. Listening is also the best way to learn how other organizations are effectively utilizing social media, harvesting best practices and improving on them. Next post: Part 3: The Juice. Developing the complexities required for building a social media program with great character.